New Delhi : The Delhi government on Friday laid the foundation stone for its ambitious redevelopment project for Chandni Chowk which aims to decongest the street by transforming it into a pedestrian-friendly lane within 18 months. "Chandni Chowk is one of the most important streets in the historical city of Shahjahanabad, Delhi, and this project's timely implementation within the next one-and-a-half years will ease the lives of millions who flock the historic street as tourists, customers and traders," a Delhi government statement said. The project, it said, will decongest the street by restricting vehicular movement during the day with emergency vehicles being exceptions. At an estimated cost of Rs 65 crore, the Chandni Chowk redevelopment project will revamp the path from Red Fort to Fatehpuri Masjid. 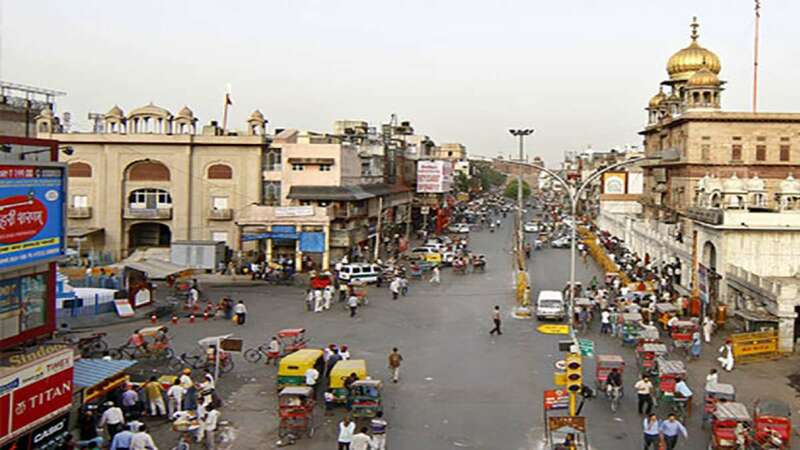 "Chandni Chowk is to be redeveloped as a pedestrian and non-motorised vehicle street with wide footpaths on either side of a central lane," PWD Minister Satyendar Jain said while addressing a gathering in Chandni Chowk. In addition, Jain said, the Delhi government will build a parking facility -- with a capacity of 1,500 cars -- in Chandni Chowk's Dangal Maidan. Deputy Chief Minister Manish Sisodia, Public Works Department (PWD) Minister Jain, Environment Minister Imran Hussain and Chandni Chowk MLA Alka Lamba inaugurated the project, which was originally set to be launched by Delhi Chief Minister Arvind Kejriwal. Under the project, electric trams will be revived and run on the revamped street, overhead wires will be removed to prevent fires, benches, dustbins, CCTVs and street lighting will be installed, public toilets, drinking water fountains and loading-uploading bays would be developed and facilities like bicycle parking, cycle-rickshaw stands, Information Kiosks and police booths would be provided. Addressing the gathering, Sisodia said the project will increase tourism and trade in the area which suffers from traffic congestion. "The vision behind the project is that anyone who visits Chandni Chowk to shop and explore does not have to worry about traffic jams. The major re-construction and decongestion work will increase tourism and trade manifolds," he said. Sisodia requested the traders to bear with some traffic inconvenience as he promised that this project would lead to better opportunities and profits.